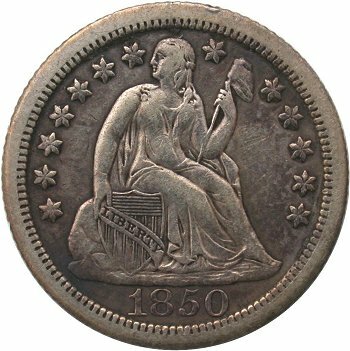 Normal obverse and reverse die alignment requires that there be 180 degree rotation between the obverse and reverse design. 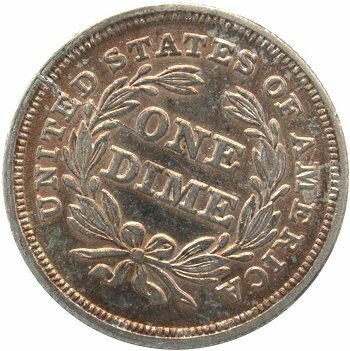 In other words, when a viewed dime is flipped over end on end, the reverse design appears in the same position as the obverse. 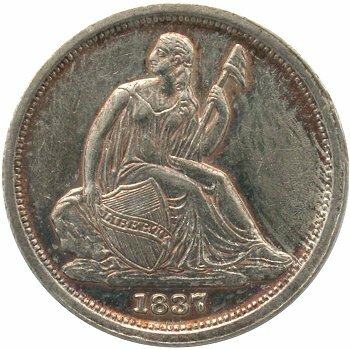 The 180 degree rotation between obverse and reverse dies is commonly referred to as "coin turn" die alignment. 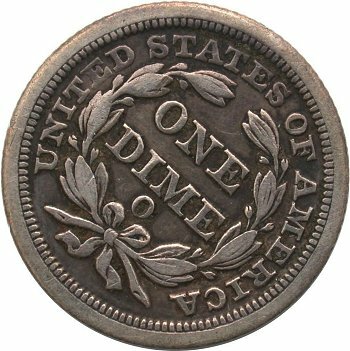 Rotated reverse die alignment from the normal "coin turn" die alignment is occasionally seen in the Liberty Seated dime series. When it does occur, the term "reverse rotational die misalignment" or "RRDM" will be employed within descriptions. 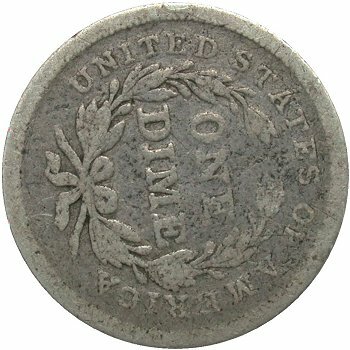 The amount of RRDM can vary from the perfect 180 degree coin turn die alignment. 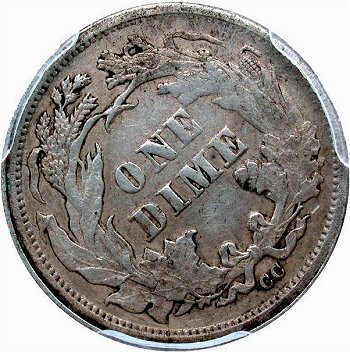 A RRDM greater than 20 degrees left or right of normal coin turn die alignment is notable and when exceeding 35 degrees, is seen as significant. This index will only document cases of RRDM greater than 20 degrees. 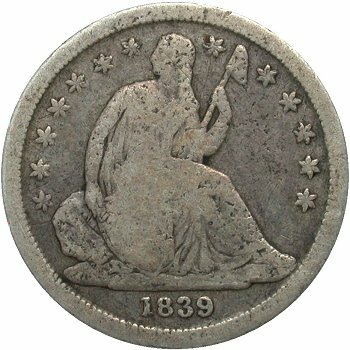 During the initial Seated dime production years of 1837 through 1839, a systematic reverse rotational die misalignment is commonly seen. From 1840 onwards, occurrences of RRDM are most likely random in nature. At this time, I will not attempt to establish theories for the occurence of RRDM but rather report the known observations and estimated rarity. A quick reference is provided below to simplify the researching of new discoveries of rotated reverses. Select a major design group link to view a date level list of known rotated reverses. 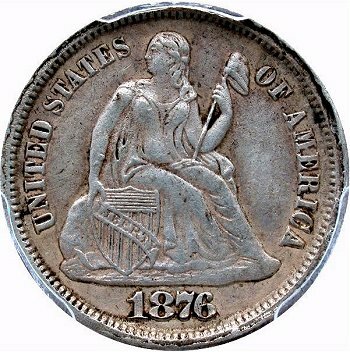 Each rotated reverse listing, within the design group, is linked to its variety page in the Date and Mintmark Variety Analysis section.